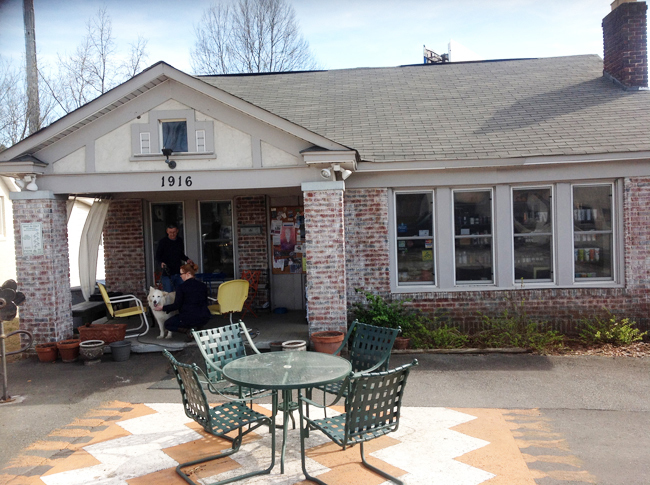 Luna’s Living Kitchen, Illuminating Charlotte with Raw, Beautiful, Plant-Based Cuisine! 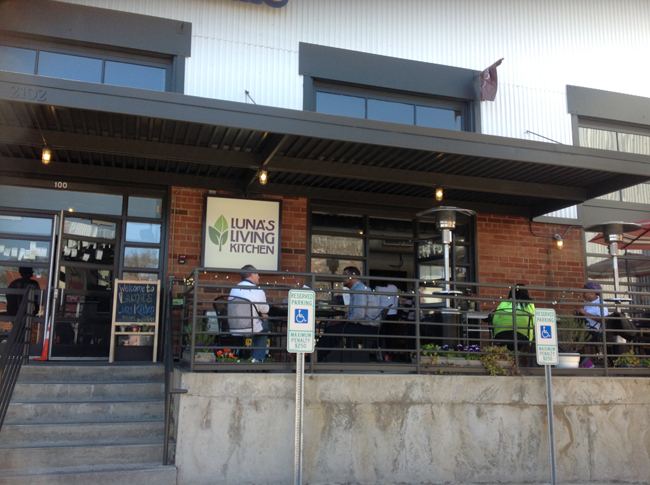 Open only three years, Luna’s Living Kitchen is already an icon in Charlotte, NC. Whenever we ask where we can find a good place to eat while visiting Charlotte, Luna’s is the first word out of everyone’s mouth. Everyone. 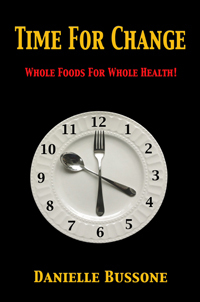 Luna’s Living Kitchen is a stand-out with its all organic, largely locally sourced ingredients without a hint of genetically modified fare to be found!!! To this I can’t say strongly enough to owner, Juliana Luna; You go, girl! 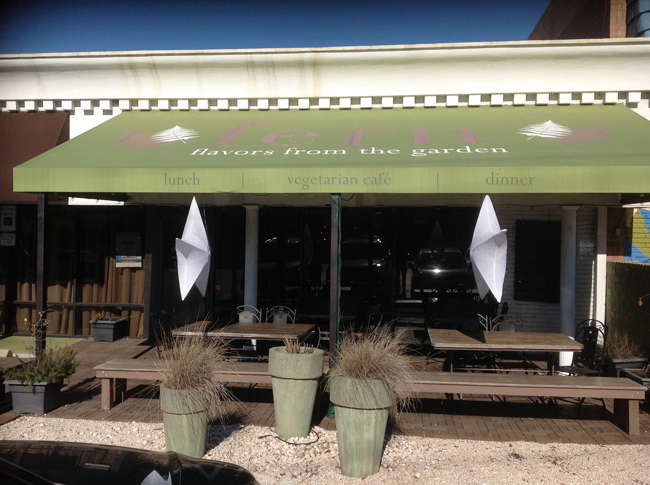 The first time we visited Fern was during the Charleston Vegetarian Festival last summer. It was a blistering day and our beloved monster, Phoenix, was feeling the heat. We noticed the building as we were driving through town and it happened to be within walking distance of the festival. With covered out-door seating and entirely vegetarian, it seemed to be just the ticket. Phoenix settled down at the foot of our table and the waitress was kind enough to fill her dish with water. I had the Om Burger and I cannot for the life of me remember what Rich had. I can tell you that it was all delicious and I am filled with guilt every time I think about it. We had every intention of writing a review of Fern then but as it sometimes happens, life got in the way and Fern continued to slip farther back on our “to do” list. Recently, en-route to Charleston we decided to give Fern another try. Fern is a charming café with lots of tables and bustling activity. When we were seated we were brought a glass of water infused with cucumbers. This was an unexpected and delightfully refreshing treat! I remember how welcome that was on our parched first visit to Fern.